One of the secrets of success is gratitude. Gratitude is also an essential part of being a positive person; gratitude and positivity are inescapable, interlinked and are essential components of success. How can we show our gratitude each day? There are countless ways to be grateful. We must start by being grateful for the little everyday things that we can easily take for granted; things that when we really think about it are not so small after all and should not be taken for granted. We can start by being grateful for each new day, negative people will complain about each day and in so doing so drain some of the happiness out of each day. We can be grateful for the food we eat, even if it is not much, for many around the world will eat nothing today. Never complain that it is raining, snowing, being windy or too hot, be grateful for the wonderful variety of weather and remember that each form of weather has its role to play. You can pause and feel some gratitude for these and other similar everyday things which we all too readily take for granted. 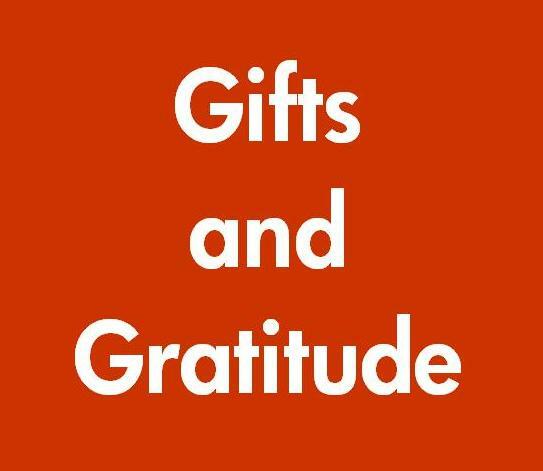 We can feel some gratitude for the gifts from other people. These gifts take an infinite variety of forms. A warm smile truly given to you from anyone is a gift to be grateful for. A kind or friendly word or two from someone is a gift to be grateful for. A door being held open for you, is a gift to be grateful for. Many will think of a present being given when they think about gifts. When this form of gift is given it should always be gratefully received. Failure to be grateful is a form of negativity, if we cannot be grateful for what we already have then why should we expect life to give us more. Some have a strong will to win in life and to be grateful will reinforce positivity which will move you closer to achievement quicker. Some have a strong will to fail, but they never see that or admit that even to themselves. They embrace negativity at every opportunity and as a result, again and again they feel that every chance and opportunity turns against them, failing to see that the real failure is actually within themselves and easily rectified. It is by applying positivity that we win, but it is a double edge sword, for a negative attitude can only lead to disappointment and failure in every way. Be grateful and build up your positivity.